This is a diamond in the rough. Access to Lake Algonquin. This property has tons of potential. Situated between Hastings and Middleville. This property has 2 bedrooms with the option of a 3rd in the basement. There is also room in the basement for a family room addition. The basement does have a 3/4 bath. Slider doors off the dining/kitchen area leading to a deck and fenced in yard. 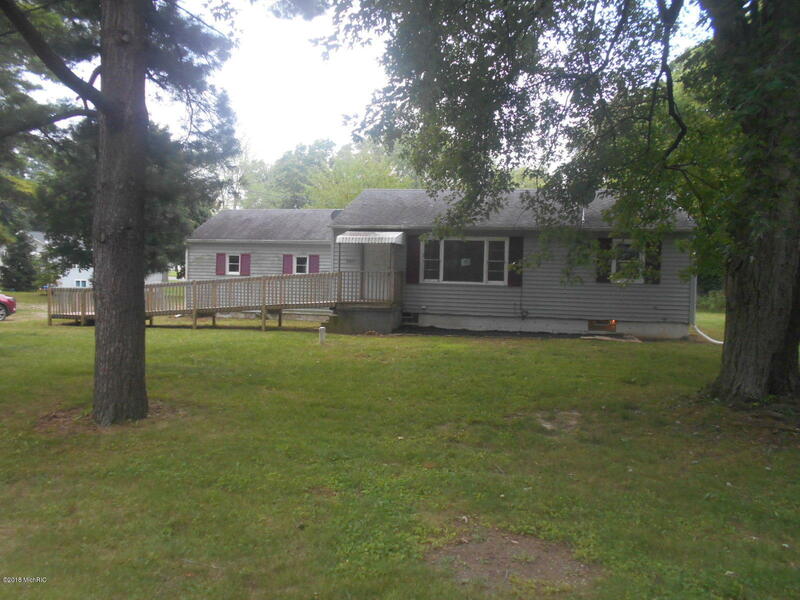 This home offers a 2 stall attached garage and storage shed to store your lake gear.